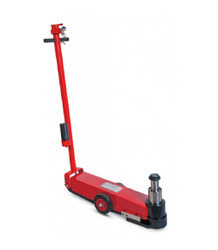 Hydro Pneumatic Trolley Jacks are designed for lifting all types of heavy commercial vehicles with capacity 15 tone to 70 tone. Clients can avail from us a wide range of superior quality Pneumatic cylinders and jacks. 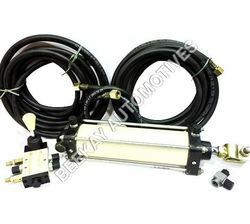 These cylinders and jacks have the capacity of operating under high pressure conditions of up to the range of 150 PSI. We also offer additional cushioning for the pneumatic cylinders and jacks. These are fabricated in accordance with industry set standards and specifications. Clients can avail from us a wide range of superior quality Pneumatic Cylinders & Jacks. These have the capacity of operating under high pressure conditions of up to the range of 150 PSI. We also offer additional cushioning for the pneumatic cylinders and jacks. These are fabricated in accordance with industry set standards and specifications. Being a customer oriented organization; we are deeply engaged in offering a wide array of Pneumatic Jack.